Earlier this month we had the pleasure of attending The Power of Volunteering conference in Zagreb, hosted by the Croatian Volunteer Development Centre. The conference provided a wonderful opportunity to learn from our peers in Europe, as well as a chance to share our own learning, challenges and best practice examples in volunteering. 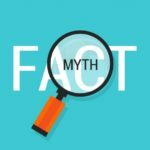 Today we have another mythbusting blog for you, this time focusing on volunteering as a jobseeker. Separate the facts from the myths and find out how you can volunteer if you’re a jobseeker.